Local restaurant and music venue Another Round Pub has closed its doors for good. The restaurant’s owners posted on Facebook this week, thanking fans and informing customers about their decision. Another Round opened in 2014 in the Rock Creek Square Plaza shopping center in the space that once housed La Villa. Yaya’s Euro Bistro at The Promenade at Chenal has promoted Patrick Buchanan to its executive chef position. Buchanan started cooking eight years ago at the University of Kansas before working at The Oread Hotel in Lawrence, Kansas. He worked at the Yaya’s location in Kansas City before he was transferred to Little Rock more than two years ago. Buchanan takes the spot vacated by Elliot Jones, who is now the executive chef at the Yaya’s location in Denver. Big Orange Midtown has been named been craft beer bar in Arkansas by readers of CraftBeer, the online publication of the Brewers Association. Big Orange was nominated by several readers who listed the restaurant’s dedication to lesser-known brews and innovative events planned around craft beer as some of the reasons for their votes. More than 9,000 people altogether voted in the poll. Forty Two is planning a special wine dinner for next month. On March 9, chef Gilbert Aliquinez will pair five courses with wines from Robert Mondavi Winery in California. Tickets to the event are $100 each and are only available over the phone. You can get yours by calling 501-537-0042 during normal business hours. Dillon Garcia, bar manager at The Pizzeria at Terry’s Finer Foods, has started his own side business in the beverage world. Arkansas Mixology Associates offers bar consulting, staff training, menu development and other professional services. Garcia is also available for private events, including weddings and parties. More information is available on the Arkansas Mixology Associates Facebook page. Brisket Dinner with Lost Forty Brewing. 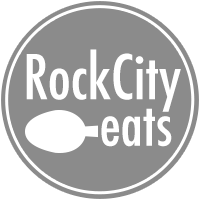 Rock City Eats is partnering with Lost Forty Brewing to present the 3 Brisket Brewhouse Dinner on March 16. The dinner will feature three different briskets in different styles created by Chefs Scott McGehee, Ken Dempsey, and Matt Bell, along with sides and some exclusive beers from Lost Forty. Tickets go on sale to the public tomorrow, or if you want early access to what will be a sold out event you can join our email list by 2pm today. Fourquarter Bar is now open in Argenta. Our own Becca Bona took a First Look at the new restaurant and music venue. Speaking of “new,” Roxy’s Twisted Sandwiches is the latest to join Central Arkansas’ food truck scene. Check out these ridiculous portion sizes. Congratulations to chef Matthew McClure of The Hive in Bentonville on his third consecutive semifinalist selection for Best Chef in the South by the James Beard Foundation. Finally, we kicked off our brand new Origins series with a look at the history of The Oyster Bar in Stifft Station. February 26th 4th Friday in SoMa – New this year, the fourth Friday of every month will feature businesses in the South Main district staying open later and offering specials for customers. The event starts at 4 p.m. and goes until at least 8 p.m. At least a dozen businesses are participating. 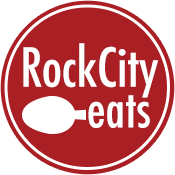 March 15th Rock City Tailgate at Gary Hogan Field – We are gathering some of Little Rock’s finest food trucks to watch the Little Rock Trojans take on the UCA Bears in baseball.